Reflex Klystron VA22A used in Radar and communications. One of these appeared in the classic British TV series "Doctor Who" as a hand prop used by the 4th Doctor, Tom Baker. 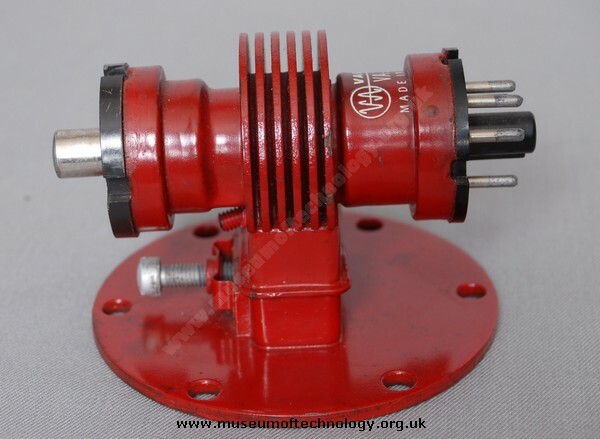 In the story, Genesis of the Daleks, this valve became a device known as an Etheric Beam Locator.